Seasonal Affective Disorder (SAD) is a recurring major depressive disorder resulting in episodes of depression during the same time each year. 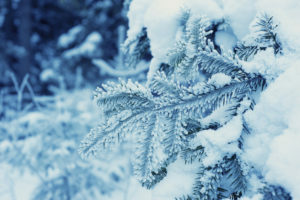 This condition is often associated as “Winter Blues”. Individuals with SAD often experience depressive symptoms beginning in the fall or winter and diminishing in the spring. Fall to spring is the most common incidence of occurrence of this disorder. Due to days getting shorter and light becoming more scarce. While summer depression, usually occurring during late spring and early summer is less frequently diagnosed within the population. SAD is more commonly seen in northern regions compared with southern regions of the country. Individuals diagnosed with SAD must meet the criteria for major depression. These major depressive states must happen during specific season for at least two years. Also, the individual must experience seasonal depressions much more frequently than any other type of depression. Currently in the United States, SAD afflicts about 10 million Americans. With another 10-20% having a milder form of SAD. Women are four times more likely to experience SAD compared to men. Typical age of onset is between 18 and 30 years old. Symptoms differ based on the individual. Some common symptoms are the following: feelings of hopelessness and sadness, thoughts of suicide, hypersomnia (tendency to oversleep), changes in appetite (craving for sweet or starchy food), weight gain, drops in energy level, fatigue, difficulty concentrating and, irritability. All these are common symptoms that are predominant among individuals with SAD. There are many risk factors associated with SAD. As mentioned above, SAD is diagnosed more among women compared with men. Individuals who live farther away from the equator are more susceptible in developing symptoms associated with SAD compared with individuals living closer to the equator. Family history plays an important role towards the onset of the disorder. Individuals with a family history consisting of other types of depression are more likely to develop SAD compared with individuals with no previous family history of depression. Age plays an important role towards the onset of SAD. Younger adults have a higher risk of SAD when compared with older adults. Among seniors, a vitamin D deficiencies has been closely associated with the onset of SAD during the colder winter months. With scarce amount of sunshine during the winter, the elderly are more prone to stay inside more, resulting in a vitamin D deficiency. Also, as our bodies age, we tend to have more difficulty absorbing and converting vitamin D. Difficulty absorbing and converting vitamin D not only perpetuates a vitamin D deficiency but also can result in Osteoporosis. Due to the lack of vitamin D caused by the lack of sunshine during the winter season. There are several key treatments and therapies that are effective with helping individuals manage their SAD. Medication is an essential form of treatment. Selective Serotonin Reuptake Inhibitors (SSRIs) is one the most common medications used to treat SAD. Bupropion, another type of antidepressant approved to treat SAD. Light Therapy, one of the most effective treatments for SAD. With light therapy, we’re replacing the diminished amount of sunlight during the fall and winter months with consistent daily exposure to bright and artificial light. Typically, individuals with SAD would sit in front of a light box early in the morning every day, beginning during the fall and ending in the spring. For the elderly, a diet rich and fortified with vitamin D can be effective with treating SAD. Aside from light therapy, Cognitive Behavioral Therapy (CBT) is another effective treatment for SAD. CBT helps individuals with SAD to identify negative thoughts and replaces them with more positive thoughts. CBT also utilizes behavioral activation which helps individuals with SAD to select activities that are both engaging and pleasurable, they can be either indoors or outdoors. This form of therapy is intended to helps those afflicted with SAD to improve their coping mechanisms during the winter months via participating in those activities selected that are both engaging and pleasurable. Overall, SAD is recurring major depressive disorder commonly seen during the winter months and tends to afflict individuals living in northern states. There are several methods of treatment that are very effective to help individuals with SAD cope with their symptoms.